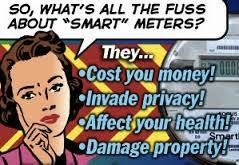 In a recent editorial, “Smart-Meter Phobia Sad, But Don’t Cut Power,” the Palm Beach Post hyped safety claims of Florida Power and Light / Next Era Energy accompanying the utility’s statewide “smart meter” deployment while condemning the roughly 6,000 Florida households that have declined such technology. The Post often weighs in on regional and state affairs with a discriminating editorial voice. In this instance, however, the paper’s editorial staff has chosen to ignore hard scientific data that clearly lay out the health-related dangers of exposure to the non-ionizing microwave radiation emitted by smart meters and similar wireless technologies. Indeed, the Post’s editorial reads almost as if it was authored by FPL’s own public relations department, for it is replete with most every poorly-conceived and quasi-scientific claim the utility transmits to its broad customer base. The health-related concerns over the electrical meters are in fact well-founded, yet one must look beyond their given utility’s promotional paraphernalia to assess safety claims—something that journalists are supposed to do. This author has repeatedly communicated with Florida Power and Light regarding the safety of such devices (e.g. here, here, and here) and assiduously researched the topic (here, here, here, here, and here). In 2013 Project Censored, an organization comprised of knowledgeable scholars and journalists, recognized his research in this regard. Most recently, the writer communicated with and interviewed FPL spokespersons, presenting them with the 2012 Bioinitiative Report—a comprehensive set of 1,800 new scientific studies documenting in no uncertain terms the dangers of non-ionizing radiation to human health—the type of radiation emitted by “smart meters” and like technology. “Cell phone users, parents-to-be, young children and pregnant women are at particular risk,” the Bioinitiative Working Group observes. After forwarding the Bioinitiative Report to FPL representatives the author had established a rapport with, they refused to respond and severed further communication. Ironically, both Florida Power and Light and the Palm Beach Post refuse to concede hard scientific findings demonstrated in the immense body of scientific research dating to the 1960s while claiming to occupy the scientific high ground. They can’t have it both ways, and by failing to even consider such data the Post in particular has chosen a poorly-informed and thus journalistically irresponsible stance. Most disturbingly, there is little difference between FPL’s public relations pronouncements and the Post’s. Each entity reasons that because most of the utility’s “approximately 4.6 million customers have adopted the new technology without a second thought,” the technology is inherently safe. In fact, FPL deployed such microwave technology on Florida homes and businesses without allowing its customers a second thought, apart from a postcard suggesting that the meter swap was basically a fait accompli. Moreover, the Florida Public Utility Commission that quickly approved the “smart meter” deployment was misled by FPL which, in its zeal to roll out its smart grid and collect federal subsidies supporting the operation, consciously omitted the abundance of published scientific investigations and failed to conduct adequate human health impact studies before implementation. Instead, it relied on health impact guidelines that are close to 20 years old and overseen by an agency that has absolutely no mandate to oversee such concerns—the Federal Communications Commission. Indeed, given its journalistic role and duty to conscientiously inform public opinion, the Palm Beach Post should likewise consider much more than the “evidence” it has been spoon-fed by power industry spinmeisters.